After our first successful Open Mic Night, we've decided to do another. Last time we had a great mix of performers and we hope we can put together another fantastic show. 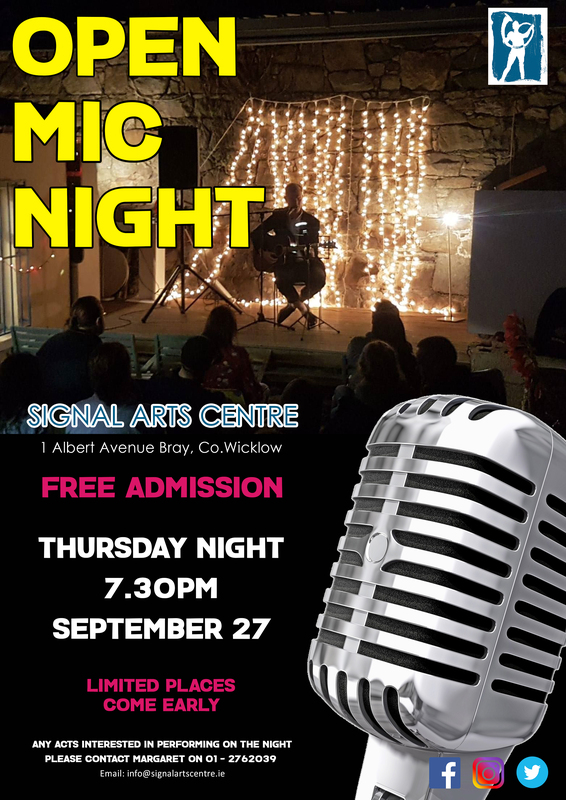 If you're interested in performing, you can contact us via our facebook, email at info@signalartscentre.ie or by calling 01-2762039. Margaret will be handling the organisation of the night yet again. We'd love if you could attend.